Another one to warn your employees about. The bad guys do not hesitate to exploit the most basic fears of people; the sudden death of a loved one. 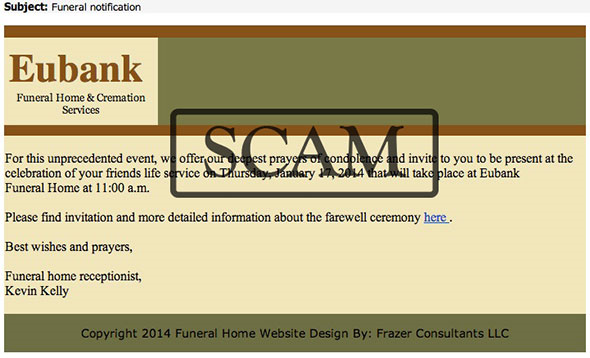 The message claims to be from a funeral home and notifies the recipient about an upcoming funeral and instructs them to click a link to view their invitation and more details about the ceremony. I received a bill for utilities and an eviction notice!!!?? I have received a couple of these. just deleted them. 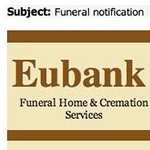 I have also received 2 bills.